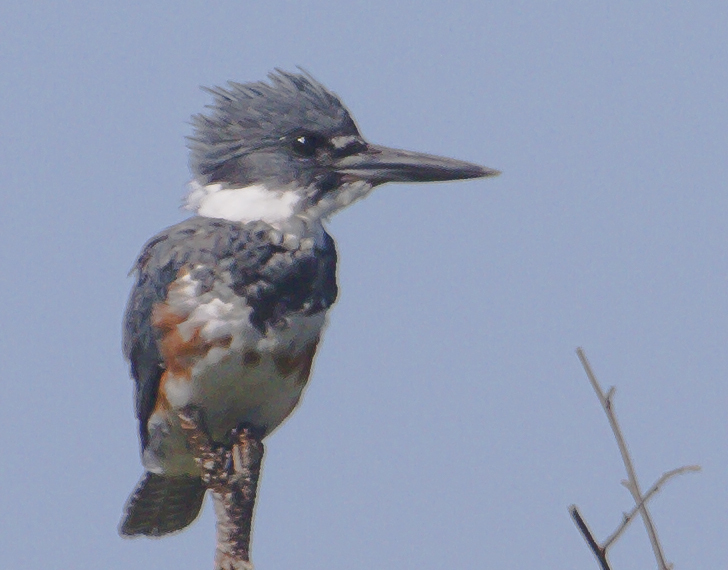 Posted on August 22, 2012, in Birds, Crex Meadows, Nature, photography and tagged belted kingfisher, birds, Crex Meadows, kingfisher, mjspringett, photography, postaday. Bookmark the permalink. 8 Comments. 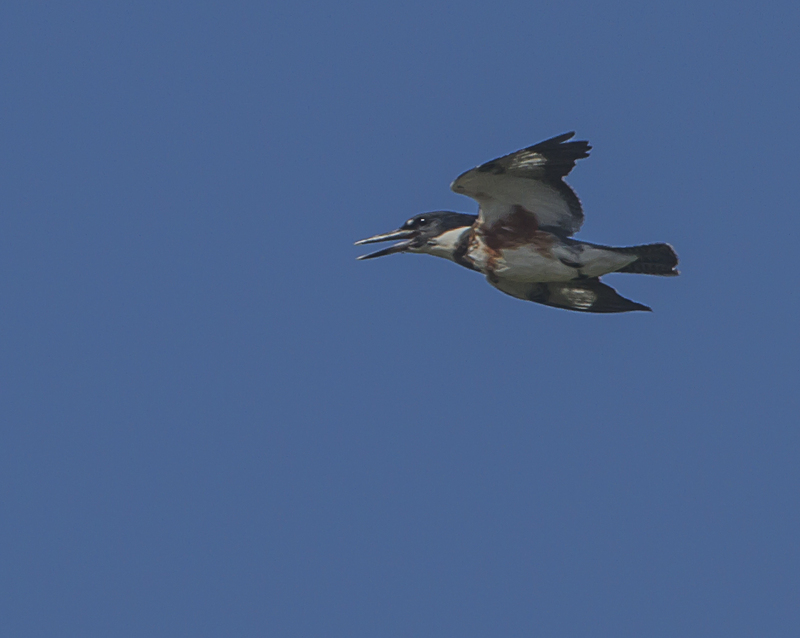 I’ve found that kingfishers are incredibly hard to photograph. They’re skittish and very quick. Nice job on capturing this one! Great shots. I envy your close ups. By the way, this is one case where the female of the species if prettier than the male. The male doesn’t have that rusty colored belt.